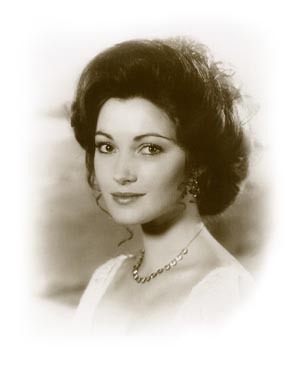 For fans of time travel, Somewhere in Time has captured the imagination of thousands world wide. Based on the novel by Richard Matheson called Bid Time Return, the original setting for the novel was the Hotel Coronado in California in the year 1896. Due to the encroachment of modern day life, the film version with screenplay by Matheson was filmed on Michigan’s Mackinac Island where vehicles are banned and horse and carriage is the mode of transportation. Released in 1980, the film failed to find its audience but was soon taken up as a favorite by Romantics everywhere when the movie went to cable. In 1991 a society of admirers of the film formed INSITE, The International Network of Somewhere in Time Enthusiasts and the society meets in October annually, in period costume, for a long weekend. The soundtrack by John Barry has never been out of stock and is one of the most enduring and beloved soundtracks of all time. For more information on the film, the society and on Maude Adams, the real-life Victorian actress on whom the novel is based, do visit the INSITE link below. 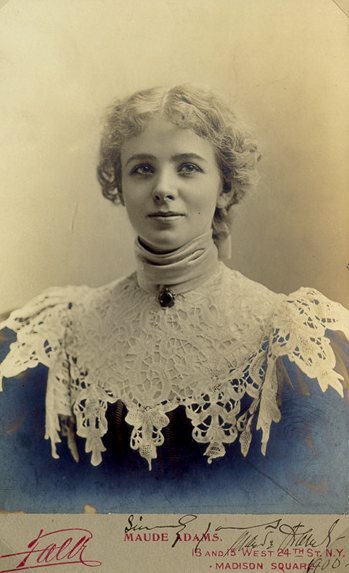 Maude Adams was a top stage actress in the late 1890’s into the first decade of the twentieth century under the management of Charles Frohman, who drowned in the Lusitania disaster of 1915. There is little doubt that Lizzie Borden would have seen Maude Adams numerous times on stage in New York or Boston, especially in her most famous roles as Lady Babbie in Barrie’s The Little Minister and Peter, in Peter Pan. INSITE publishes a quarterly magazine and maintains an online giftshop, events calendar and regularly updated article website at http://www.somewhereintime.tv/ and listen to Barry’s inspired theme. Saturday, March 31,2012, 9:15 pm in the evening here in the philippines. i am 17 years old….my love attitude has change when i watch the video of somewhere in time. It is really fantastic i do not know what magic do this video has, why it capture my attention i watch it over and over . may be i watched it in 8 times. May be because of ms. Elise that’s why i admire it a lot or may be because of their romantic love.